If your order weighs less than 13 ounces, save huge on shipping with USPS first class (with tracking number). This product weighs 3.1 oz. 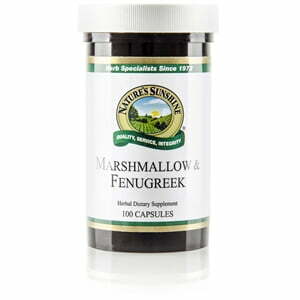 Nature’s Sunshine Marshmallow & Fenugreek formula combines herbs that offer nourishment to the respiratory system. 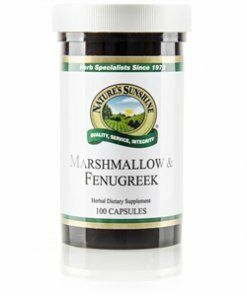 Fenugreek and slippery elm, an herb added to the Marshmallow & Fenugreek formula, both contain mucilaginous compounds to promote respiratory health. Marshmallow also has demulcent properties.